Bank fees are killing your retirement savings. For a long time now I've been on at least one podcast, and I've had an outlet for all my creative energy. With the hiatus of Future Chat and East Meets West (this one is admittedly self-imposed), I suppose the time is now to get my thoughts written out so I can stop pestering those around me. I want to start here by thanking both Planet Money and John Oliver, because listening to Brilliant vs. Boring and Retirement Plans will probably have saved me a couple hundred thousand dollars by the time I'm ready to retire. Feel free to ditch this post in order to go and check those out, because it's far more enticing than text. It was actually this past year that I was forced to start an RRSP, and that's when I dipped my toes into the wild world of retirement savings. I asked about what my friends and co-workers were doing. What I learned was that the threat of fees is not at all common knowledge, and there are equally common misconceptions about the financial advisers that your bank probably offers. Your financial adviser is a sales person. I once lived with a financial adviser. Her university background was in the arts, and she took a course offered through her bank in order to be certified to sell mutual funds to her clients. It was a good job for her. She was friendly, multilingual, and she was able to afford a nice place in Calgary. It's often assumed that your financial adviser went to school for business or economics, and is highly trained in these matters. But they're not. A bank has sales targets much like a retail store does, it's just the amount of money changing hands is much higher. And the advice you'll receive is pretty easy to predict, depending on your situation. In fact, many financial advisers will follow along with an automated process (generated by the bank they work for), in order to figure out what product to recommend to you. In the case of some banks, they're looking at foregoing the meat bag adviser class altogether and just offering you the advice of the algorithm. Fees are eating into your savings. Now, since the bank needs both money for its investors and its workers, all this advice comes with a cost. It's not a cost you'll be charged up front, or you'd notice as a deduction. It's usually expressed as a Management Expense Ratio (MER), somewhere on the fact sheet for the mutual fund or portfolio you've chosen. In the case of Canadian banks, they've probably generated a few index funds, then packaged together those funds in some proportion to create a balanced portfolio. Quick aside: What's an index fund? An index tracks something, you've probably heard of the S&P500 for the US market, or the TSX60 for the Canadian stock market. An index fund just owns the stocks which constitute the index, and it's usually a better strategy than trying to beat, or outperform, the market. I won't get into how that works here, you should just listen to Brilliant vs. Boring. So those portfolios, in Canadian banks anyway, will probably come with a MER of roughly 2% on the discounted side of things. It doesn't sound like much, but that's 2% of your entire savings every year, whether the value goes up or down. That's right. If the market takes a dive, the bank still collects its 2% on your money. In my case, I have about 30 some years to retirement, and the difference between self-management and bank fees is in the ballpark of over $200,000. That's a lot of poutine. It's probably living expenses for a few years, or a nice charitable donation once I've kicked the bucket. If somehow you've been saving that much for 45 years, you could almost double what your savings with the bank would have been. Don't try to beat the market. ...Unless you have a nice, stable, juicy pension. Then have at 'er, it could be a lot of fun. But if you're counting on the money being there, one company going bust could take a big chunk of your savings (Nortel, Enron, I'm looking at you), or you're paying too much in trading fees (which might be disguised as management fees). Again, the Planet Money episode "Brilliant vs. Boring" does a great job of explaining this. Don't be too conservative too early. Granted, you'll want to really load up on bonds when you're getting close to retirement, or if you're saving and think you might need the money soon. Bonds tend to fluctuate much less than stocks. They also tend to go the opposite way of stocks, so they went up during the crisis in 2008, and they have been on the decline during the recent good years of the market. But for the love of God, don't load up on them early in your saving years, because then you're sacrificing a lot of growth. This is particularly true if you're in a fund-of-funds bank portfolio, where the MER represents the total of the return from your bonds. Yes, Shaggy, I'm talking about you, and now the whole world knows that your portfolio is over-exposed in bonds. How embarrassing for you. Jack Bogle, for what it's worth, invented the index fund. His adherents recommend owning your age as a percentage share in bonds. That way you'll have a nice reliable amount of money when you're ready to retire, but have good income when you're younger. I'm sure they'd also recommend VCN and VAB, traded on the Toronto Stock Exchange. So there you have it. The secret to robust retirement savings. I'll accept payment in hearty handshakes, and visits to your retirement mansions that you purchased with your saved fees. You may also feel free to feed me. He had always heard that time seems to slow in a crisis, in a life-and-death situation, but he hadn't experienced it until now. He felt his pulse quicken, his breath become short, and noticed a shift in the lighting as his pupils dilated. He had always loved his home city, the Festival City, Alberta's Capital City, The City of Champions. But now instead of looking orderly and neat, the brutalist architecture seemed to be closing in on him, suffocating him, arresting his ability to move freely. A chill fell over him as the car's once comfortable air conditioning met with his cold sweat. At the same time, the world appeared to have frozen. Nobody moved, cars idling, feet pressed hard on the brake pedal lest one move too quickly and become the snowflake which causes the avalanche. They say that the difference between a mass of angry people and a riot can come down to one action. Everyone will stand around until they hear glass shatter, until a smoke bomb hits, until a punch is thrown. It is these tense moments which decide whether the morning will see peace, or the wake of an angry mob. He strained his eyes, knowing that at some point he had heard of this exact scenario. Some far off, distant memory that warps into vague flashes of recollection. Grade school? No. A stern warning from his parents? No, that couldn't be it. A sermon told once upon a time? Maybe. His head cleared as adrenaline coursed through his veins, and he made his decision to act. He edged the car forward. Arcing slowly and deliberately to the left into what appeared to be an opening in the periphery of his vision; he didn't dare to take his eyes off of the horror that lay in front of him. Clearing the standoff, he started to speed away, relaxing his now-noticeably white knuckles, and letting out a deep but quivering sigh. In the back of his mind, he was wracked by the feeling he had somehow made a Faustian deal, but decided it would be worth seeing his family at least one more time. He didn't know what demonic force had caused the traffic sign to display a green, left-pointing arrow, but he was glad it was over. Mercifully, it was over. My preferred voting system for Canada. An Elections Canada sample ballot. Source. I'm going to start by saying that this one's for you, Jeff. It's late, but it's still for you. Given that there's been a seismic shift in Canadian politics since the last federal election, I'd like to talk about a choice that the governing Liberals will be faced with in the next year or so, if their campaign promises are to be believed. Justin Trudeau has promised that this will have been the last election under the First Past the Post (FPTP) system, and that a new method will be decided upon after broad consultations. Now, I'm not going to try and explain the main contenders for voting systems out there, because not only has CGP Grey already done that, he has done it better than I could hope to do with his Politics in the Animal Kingdom series. While they're all videos worth watching, I'd recommend checking out at the very least the Mixed Member Proportional (MMP), Alternative/Instant Runoff (IR), and Single Transferable Vote (STV), videos for the purposes of this discussion. In the last several elections, the FPTP system has delivered rather wild results. In fact, the last two majority governments were decided by roughly 40% of the population. Pundits may endlessly analyse this, looking at voting efficiency numbers (votes cast/seats won), but honestly, it's a consequence of the system. 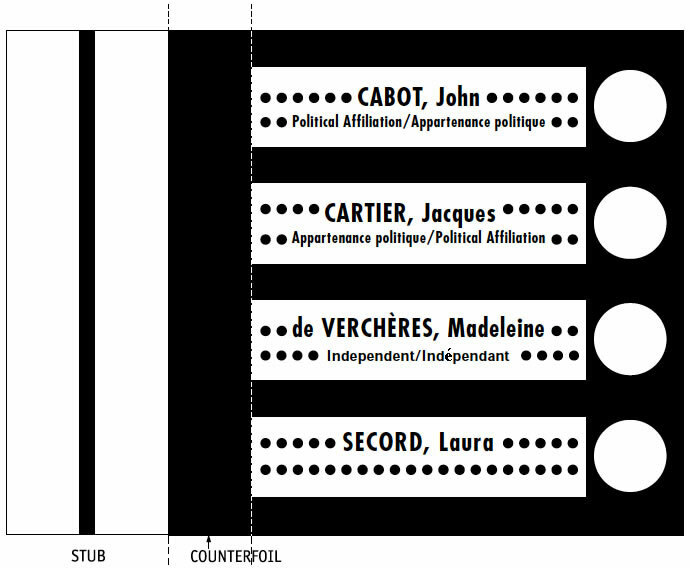 The biggest weaknesses of FPTP are widely seen to be the spoiler effect and strategic voting in general. It could be argued that in the Conservative Party's wins of the new millennium, the centre-left parties played spoiler to one another. Were there just one left-leaning party, the majority of voters would have likely backed said hypothetical party, and that would have been the end of it. However, the similar yet different platforms which were supported by the majority of the country split the vote and yielded a majority of seats in the House of Commons to the Tories. Now let's look at the election of 2015 specifically. It is widely suspected that the majority win by the Grits was the result of strategic voting. Electors who favoured the NDP (Dippers?) wanted Harper to lose more than they wanted Tom Mulcair to win. In the end, what we saw in the polls was a spectacular shift of support from the NDP to the Grits, and in the end, many voted not for the person they wanted to win, but rather for someone they kind of, sort of liked such that the person they really didn't like wouldn't win. That's why I think we need a change in our electoral systems. That said, I have obvious preferences. Proportional Representation (PR) would simply tally the votes, and award seats in the House of Commons accordingly. MMP, similarly, would allow electors to directly send candidates to the House, but would add members ("list members" from lists submitted by the parties), until the seat count more closely resembled the popular vote. It sounds great, but my problem with these methods (and the reason that I didn't support MMP in the Ontario referendum), is that I do not care for the idea of list members. Ultimately, I want each Member of Parliament to be responsible to his or her home electorate. Frankly, having been served by back benchers (read: Parliamentarians who support their Party's motions and do little else), for the majority of my lifetime, I don't think the system needs more MPs who are beholden only to their parties and not their direct electors. It is due to my loathing of mindless partisan politicians that I support IR and STV in broad strokes. What I really, desperately want is the ability to rank the options on the ballot rather than simply marking my X (aside: I'd also like the option to rank only those candidates I like and then stop, rather than Australia's model of forcing a ranking of all candidates). Now, this model has been widely criticized by opposition MPs saying that this model would prefer centrist parties like the governing Liberals. My obvious rebuttal being to draw attention to the 2011 election, in which the Liberals were so desperately unpopular after a series of scandals and missteps that they were reduced to their lowest seat count in the history of Confederation. My point being that centrist parties won't always remain a favourable option to the majority of Canadians. But, digressions aside, I like the IR model quite a lot. I like the ability to say that I prefer the Greens over the Libertarians, or the Dippers over the Tories, or an Independent over the incumbent. And I also want to retain the ability to send a message to representatives that I feel have not served the citizens my riding well enough. And, if one watches the video featuring the mechanics of it all, IR ensures that the majority of the riding's electors will have directly voted for their representative whilst ensuring they also had the ability to vote true to their conscience. Ultimately, what I like about IR is also what I like about STV. What I dislike about STV is the matter of the larger ridings, and how it is decided who is elected when multiple members of a single party are declared winners. I might be mistaken, but when extra votes are allowed to go to support other candidates, I feel like those votes are not treated as equals (unless the total sum of second choices are considered, in which case it seems... less objectionable). It seems messy, I suppose is my objection. And, ironically, STV seems more deserving of the title "First Past the Post." I suppose that this means I would endorse the ranked ballot as my preferred voting system. And, in other, wilder pipe dreams, I think it would be tremendously entertaining to see the Tories acknowledge the rift within their party and split once again into the Reform and Progressive Conservative parties, and observe an IR election with a total of five national political parties. I don't know how well it would serve Canadians in terms of the balance of ideas brought to the Lower Chamber, but man would it be fun to watch. P.S. Published without proofreading, because I have to go to work. P.P.S Proofread, minor changes made. 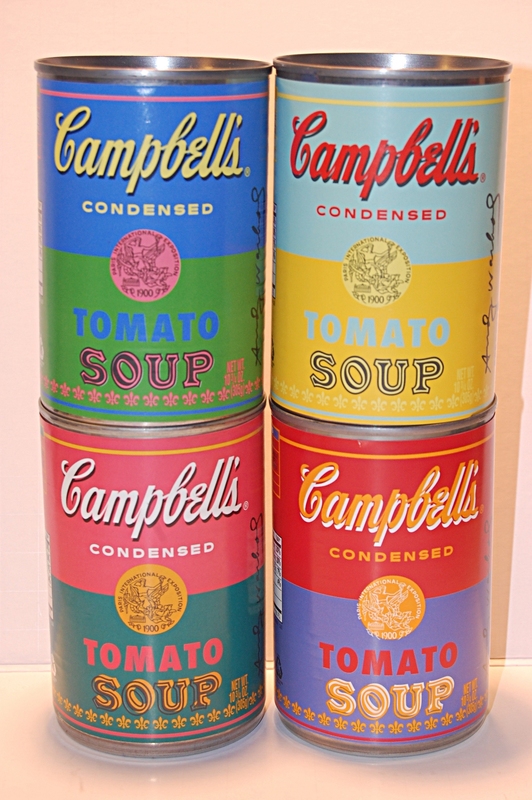 Cans of soup produced to celebrate the anniversary of Warhol's painting. Source. I was walking home this evening, and as one often does when walking the 1 St SW underpass, I passed a homeless man sitting with his back against the concrete walls. Unlike most encounters though, there was no request for money, no witty remark, no blessings bestowed as I passed. This man was looking helplessly at a can of soup. It struck me that this would be an easy fix, save for the fact that nobody actually carries a can opener. Well, perhaps people do, but they're likely not very much fun at parties. Or, recalling a personal anecdote about a man who ate canned food for weeks on end to prove to his girlfriend that refrigerators were luxuries and not necessities, the most fun at parties. 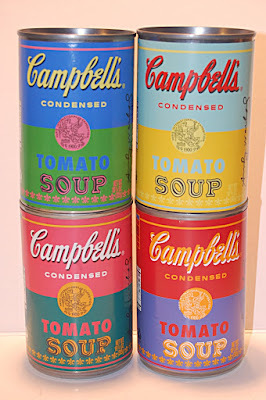 It also struck me that there is a certain irony in that canned food would be of the utmost utility to the homeless, but in most cases they would be helpless to open said can. Unless they're the sort of person that is either the most or least fun at parties. "Oh man, a spoon too? How are you doing so good?" "I've been lucky." I replied without thinking. And it's true. I've been extremely lucky. I was born to parents that did, and still do, love and care for me. I've also come to know many people who have helped me, and continue to help me to this day. I've also been spared the burden of mental illness, which so often factors into homelessness. I am a citizen to whom a great many opportunities have been afforded. And were it not for the kind and caring people in my life, I too could be sitting under the rail bridge at 1 St SW, completely stymied by the lack of a pull tab on a single serving can of soup. It's due to this matter of luck that I am so excited about things like the Calgary Homeless Foundation, which offers homes to the homeless. As it turns out, people don't generally like being homeless, and it's extremely difficult to keep a job when you have no place to keep your clothes or bathe on a day-to-day basis. If you afford people these opportunities, they often find a job and move to a nicer place in fairly short order, if the literature is any indication. Since my finding out about Calgary's program, the city of Medicine Hat has announced that they are the first Canadian municipality to end homelessness. This follows data which suggested that housing someone for a year costs roughly $20,000, whereas they cost the system about $100,000 otherwise. Everything I've heard on the matter suggests that the preliminary results are good, and as my fellows over at Future Chat agree, it seems only logical to offer programs like this if a) you'll save money in the long run, b) you could reap the benefits of economically active citizens in the future. This ignores the whole humanitarian argument, which is hard to accomplish when people are concerned about budgets. In the end, the evening left me thoughtful enough that I thought I would write about it, as much to sort out my own thoughts as to share them. I wonder if such a program could come to my home town of Belleville, a home to a disproportionate number of Christian fundamentalists, and [not-necessarily related] big-C conservative sentiments (fiscal conservatism and small government being popular ideas). I'm specifically thinking of a quotation from a statue in Ottawa that has always stuck with me, from Matthew 25:40 "That which you do to the least of my brothers, you do unto me." I'm also left with how I felt when leaving the man. Despite his gratitude, I only felt terrible for having waited so long to offer such an easy fix. P.S. I have not blogged in a while. A variety of factors, ennui playing a large factor I feel, have kept me from feeling passionately enough to write. I subscribe to Matthew Inman's idea that one should not create without feeling inspired to do so, because the work will suffer as a result. Hopefully the writing will continue, but even if it doesn't, we'll still have Future Chat. The Right Honourable Justin Trudeau, who, in a shocking twist for this series, is not looking up and to the right. Source. The final installment of the "Election 2015" series will be on Justin Trudeau, because I honestly do not believe that Elizabeth May will be our next Prime Minister. I will not be talking about his father and legendary Prime Minister Pierre Elliot Trudeau, because it is irrelevant to this conversation. The man is not his father. Shocking, I know. 2) IS AN ACTUAL, REAL-LIFE ASTRONAUT, AND WE COULD HAVE HAD AN ASTRONAUT PRIME MINISTER! My impressions of Trudeau are largely limited, perhaps by design, and possibly because he really hasn't been on the scene in an official capacity for that long. His reign as head of the Liberal Party of Canada, in its smallest incarnation in the history of the party, has been even shorter. That said, there are a couple things worth noting. First off, I started by saying that our impressions may be limited by design. Since the Grits rehauled their image after what I will call the "death spiral" under Ignatieff, Dion, and Martin, the Party hasn't really come out with many policy stances. Although, somewhat hilariously, this rehaul included the stance that the next Liberal leader would seek to have marijuana legalized. This was boldly stated on the website, I remember checking because I couldn't believe a party would actually do such a thing. They have now somewhat backpedaled and declared themselves "Smart on Cannabis." But, as always, I digress. It could be that they are holding back on policy so that the other two [much stronger] parties won't steal policy ideas pre-election and claim them under their own platform. It has happened before, and it would be clever to wait to hear from the opposition before carving one's own path. If the Grits actually have ideas. Which we don't know for sure. However, when Justin makes a decision, by God is it as sudden as it is swift and decisive. One day in 2014, seemingly out of the blue, Trudeau announces that those people seeking to run as Liberal nominees must not oppose abortion and "a woman's right to choose." In a similar event, after the Senate expense scandal, he suddenly announced that "there are no Liberal senators," and that they would no longer have any official affiliation with the Grits. It's almost Harperian in that nobody really seemed to be thinking or talking about the issue at hand, and then sweeping, decisive declarations were made. If anything is for certain, he isn't being accused of waffling. Unless he has to go back on the senator affiliations, which he may have to for political leverage in the future. But that's for the future. I've heard ample criticism of Trudeau in my social circles. From speculation that he will make the West subservient to the East (because I live in Alberta now, I hear these things), to speculation that almost everything he has said to this point is blatant pandering to students. I don't agree with these points, frankly. However, I am concerned that he acts impulsively. I have previously argued that, while he made the right decision in the suspension of his MPs which were accused of sexual harassment, he acted much too quickly. There's this thing we have called "presumption of innocence," and unless he had very compelling evidence, his actions should have been much more limited. Finally, Trudeau plays the game well. The Tory attack-ad machine successfully destroyed three Grit leaders with taglines such as "The Liberal Party is not corrupt" [pictured: hard-working Canadians shaking their heads in disbelief], "Stephane Dion is not a leader," and Ignatieff's "He didn't come back for you." The machine started up for Trudeau, with an ad saying "He's in way over his head." Trudeau responded by first showing the attack ad, turning to the camera, and saying that this was ridiculous and Canadians deserved better. The attack ad machine, which has been operating successfully for almost a decade was halted, and hasn't shown up since. It'll be interesting to see how this goes. One could argue that Trudeau may yet prove to be either a young gun or loose cannon. I, however, have more pressing issues to address. 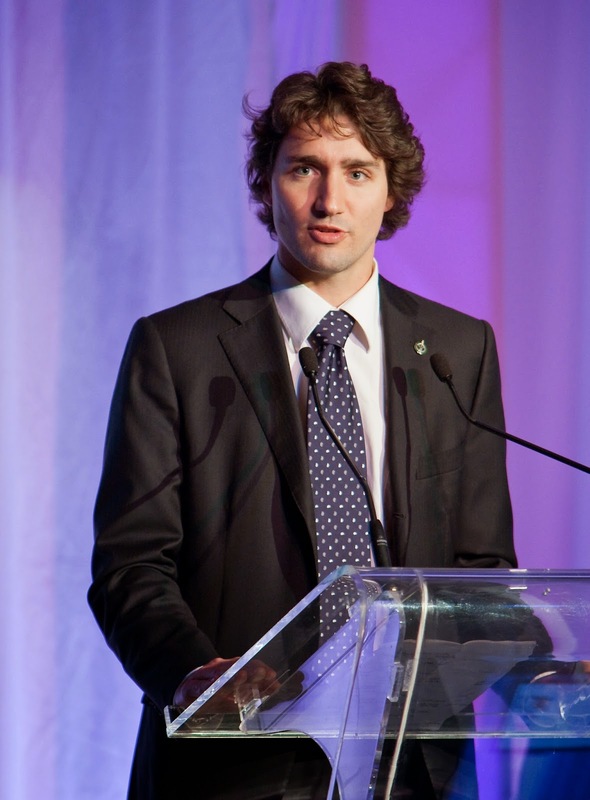 Trudeau has been seen sporting long curly locks and facial hair. Then he comes on the political scene talking about evidence-based practices. WHAT MORE DO YOU WANT TO STEAL FROM ME, JUSTIN!? DO YOU WANT TO MAKE UNIVERSAL PUBLIC TRANSIT A POLICY, TOO!? Justin Trudeau: Avid Reader of Vodka and Equations, Thief. Shortly after Trudeau was named leader of the Grits, I was having breakfast with my cousin in the sunny window of Belleville's Cozy Grill. I said that although we had missed out on an Astronaut Prime Minister (or is that PM Astronaut? ), Trudeau was exactly what the Grits needed to crawl out of third party status. They didn't and, I'd argue, don't need an intellectual heavyweight or an experienced diplomat. They need a young, charismatic leader to stir up excitement. He may yet prove to be the heavyweight or the diplomat, but for now he is someone to draw people back to the Grits. It is for that reason that I think Trudeau will win a minority. If he doesn't, I imagine Harper will be held to a minority. P.S. Four hours and 2440 words later. Apparently I had things to say about the leaders! Election 2015: Mulcair, the Reasonable One. The Joker Effect, Batman, and Game Theory. The Beer Store needs to die.